BioRenewables Glass Cleaner is a biobased product designed to clean mirrors, glass, and Plexiglas® surfaces. For use on window glass, panes and sills, mirrors, countertops, chrome, automobile glass, fluorescent lights and tubing, and any other glass or mirror finish. 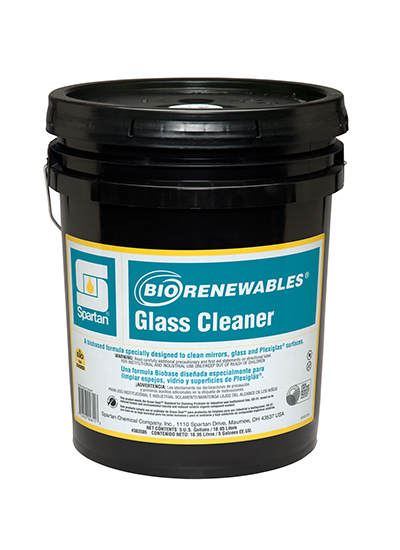 BioRenewables Glass Cleaner removes tough soils such as grease, smoke, oils, tape residue, food stains, dust, and dirt.